I have a different review today. 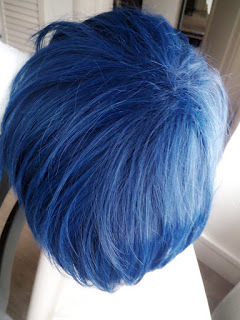 It’s a wig review, kindly sponsored by Wig-Supplier! I’ll leave a video as well if you prefer it to reading the review. 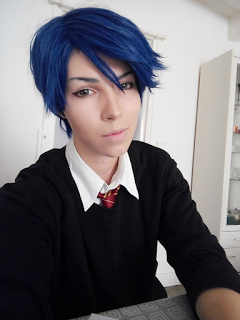 The wig I’m reviewing is Yuu Kashima’s wig, but of course you’re free to style it however you see fit. Below you’ll find some info about it, including its fantastic price of $11.20. 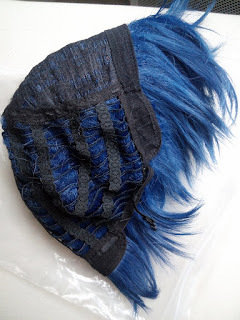 This is how the wig arrived. I must say I love the packaging and the motto. 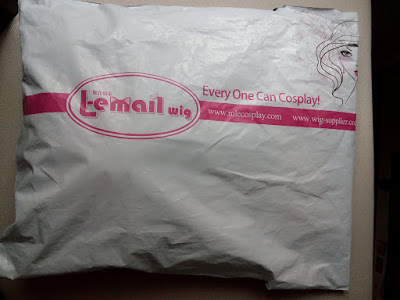 Inside, I found the wig inside the usual bag, with the usual piece of cardboard around. Later on I also found the wig cap that came with it. I wasn’t expecting it, so it was a nice surprise! This was how the wig came once out of the packages. In my opinion, the color is accurate for the character, despite not matching completely the one on the website. It’s very similar, nevertheless. 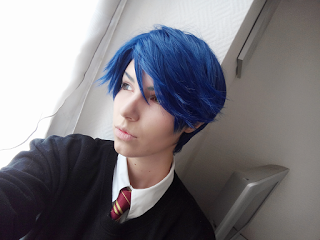 As you can see on the top of it, the wig is ‘built’ on the left side, which is the side Kashima’s hair is parted. This means we don’t have to worry much about parting the hair for her cosplay. 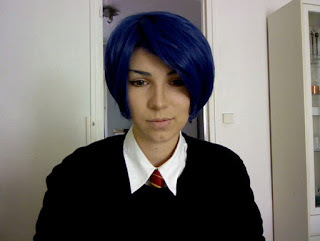 Below, a picture of how the wig looked on my head without before being cut and styled. 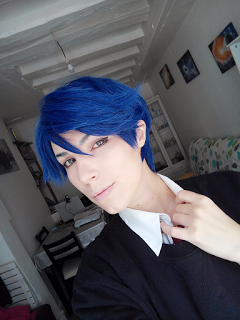 The front of it came down almost to my chin, so in my opinion you have plenty of length to work with, meaning the front is long enough to cut to fit Kashima’s hairstyle. 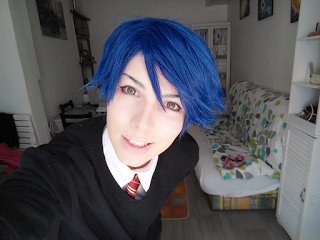 As you can see, the wig color looks a different shade depending on the light. Wig-Supplier is super friendly and replies fast to the messages, so it’s A+ for customer service, IMO! The shipping is also fast and I couldn’t be happier with the product overall. 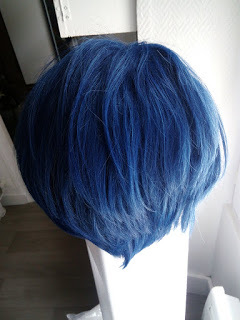 I will be looking forward to using this wig in the future! 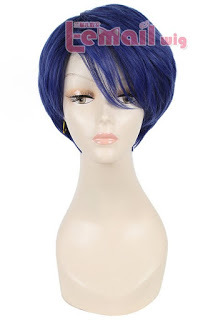 Get this wig here for $11.20! 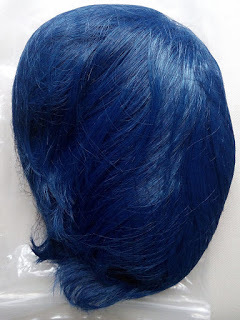 Check Wig-Supplier for other wigs of great quality for low prices, as well as other awesome items! This entry was posted in Human Hair Wigs, L-email Wig review, Synthetic Lace Wig, Wigs, Wigs Hairstyle Selections.